We have acknowledged winning schools around South Africa for their dedication to reducing our country’s waste. The winning schools in Kwa-Zulu Natal, Cape Town and Gauteng hosted prizegivings when the cheques were handed over by our CEO Shabeer Jhetam. The three top Kwa-Zulu Natal schools collected a total of approximately 85 988 kilograms of glass or 257 964 bottles. The three top Western Cape schools collected a total of approximately 109 011 kilograms of glass or 327 033 bottles. 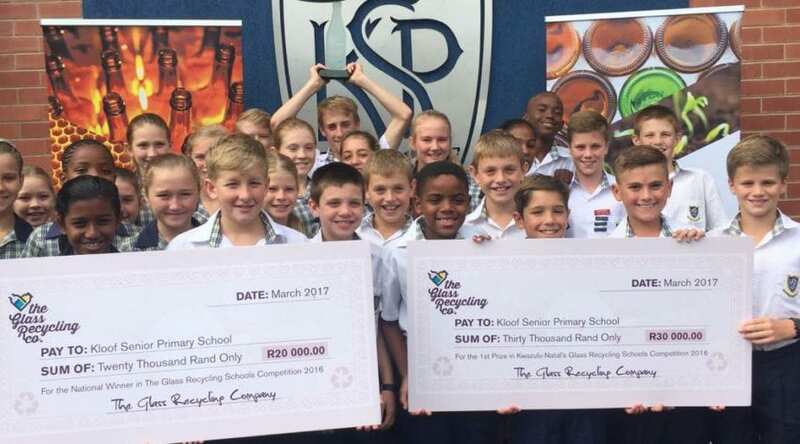 The three top Gauteng schools collected a total of approximately 115 256 kilograms of glass or 345 768 bottles. The competition was held in Gauteng, the Cape Peninsula and the greater Durban and Pietermaritzburg areas. Schools in these areas were invited to apply for the placement of glass banks. Apart from placing glass banks at the schools, we also supplied curriculum compliant material to enable teachers to facilitate a holistic view of the glass recycling process.